This image was originally taken by photographer Chas. E Morris, who worked out of Chinook, Montana at the turn of the twentieth century. Mr. Morris documented real life in the American West. The woman here was not a model. 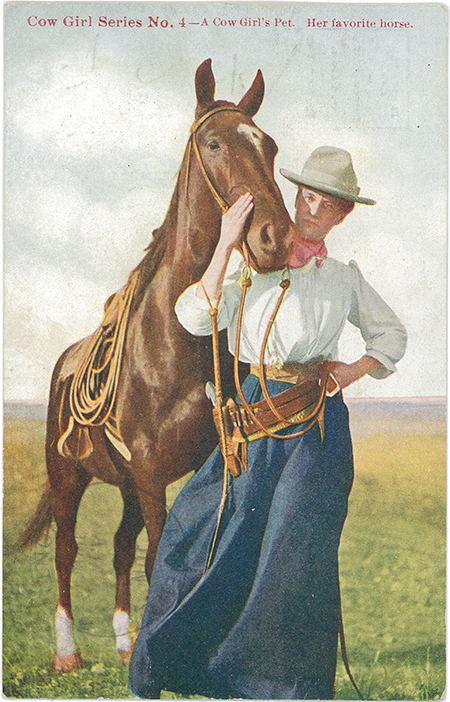 She was a working Cow Girl and the horse was one that she’d ridden a lot of miles on, and was her favorite partner. This card is perfect for you and your beloved partner, too! Blank inside. Available in three sizes.